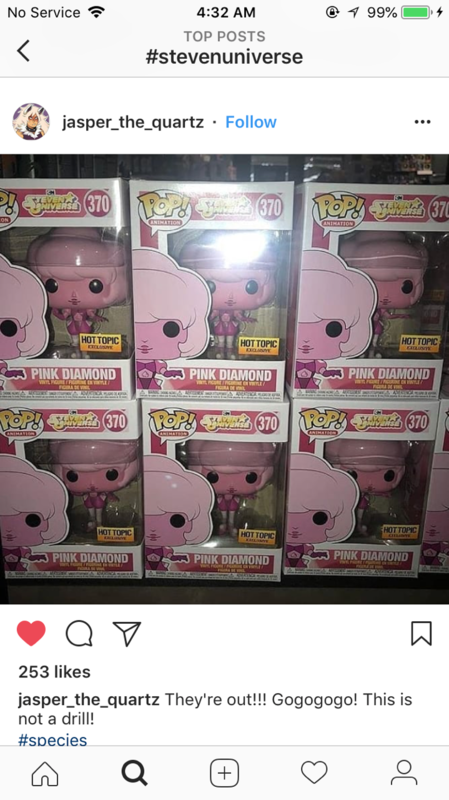 Beach City Bugle: Pink Diamond Pops Hit Shelves! Well, she got her 3 seconds of fame, guess it's time to merchandise! These appear to be a Hot Topic exclusive, and may not be available at all locations yet. But hey, you can buy it on Ebay!